As one of only two coaches in Vanuatu who hold the OFC B Licence qualification, VFF technical director Peter Takaro says Poida was the logical choice to lead the national team. “On behalf of the Vanuatu Football Federation I would like to congratulate Moise Poida on being appointed as coach of the national senior team,” Takaro says. 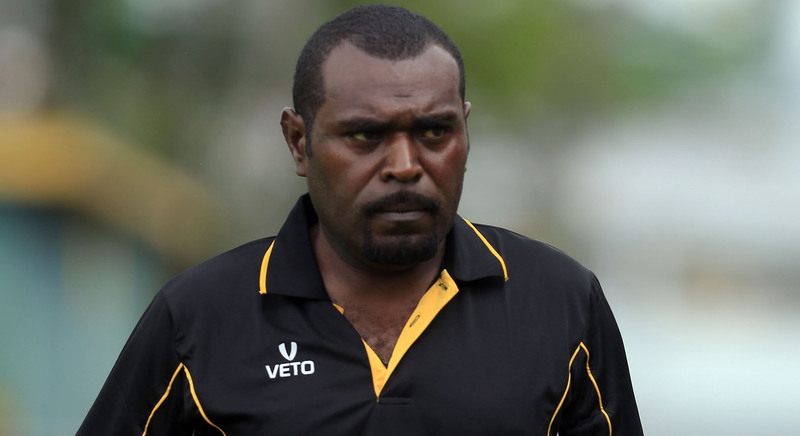 A former midfielder who played for Vanuatu, Poida is the current coach of Port Vila club side Tafea FC. This year he worked as part of the FIFA Technical Study Group during the FIFA U-20 World Cup in New Zealand. Poida will have his first outing as national coach when Vanuatu take on Fiji in two international friendlies at Port Vila Stadium in November. Vanuatu: 1. Ignace YAMAK, 2. Jack WANEMUT, 3. Brian KALTACK, 4. Jais MALSARANI, 5. Jason THOMAS, 6. Kevin SHEM, 7. Raoul COULON, 8. Remy KALSRAP, 9. Samuel KALROS, 10. Michel KALTAK, 11. Edisson STEPHEN, 12. Bill NICHOLS, 13. Bong KALO, 14. Dominique FRED, 15. Don MANSALE, 16. Daniel NATO, 17. Kency TANGIS, 18. Fenedy MASAVAKALO, 19. Jean KALTACK, 20. Kaloran FIRIAM, 21. Selonie IARUEL, 22. Chickau MANSALE, 23. Rodney SERVEUX, 24. Bernard DANIEL. For more on Vanuatu football visit www.vanuafoot.vu.